On June 25, 2012, the Supreme Court decided Miller v. Alabama, holding that sentencing children to life without parole, without first considering the mitigating effects of youth, was cruel and unusual punishment in violation of the Eighth Amendment to the Constitution. Instead of settling the matter of mandatory juvenile life without parole (JLWOP) sentencing, this decision set off a slew of litigation throughout the United States. In deciding Miller, the court failed to definitively rule on whether the Constitution was violated only by future mandatory JLWOP sentences, or if the ruling should apply retroactively to cases already sentenced under the unconstitutional sentencing structure. The governing case on whether a new constitutional criminal rule applies retroactively is Teague v. Lane. Teague established that if the new rule is substantive, it must apply retroactively to relevant cases, even if the conviction has long been decided. But if the rule is merely procedural, it does not warrant reopening the case and considering the new rule. Under Teague, rules are substantive where they set forth “categorical constitutional guarantees that place certain criminal laws and punishments altogether beyond the State’s power to impose.” Thus, the Teague standard became the litmus test in collateral review courts across the country. In Colorado at the time of the Miller, about fifty prisoners were serving time under mandatory JLWOP. The lives of each of these people depended on the retroactivity of the ambiguous Miller ruling. In June 2014, the Colorado Supreme Court gave four of these inmates the opportunity to argue that their unconstitutional sentences should be reconsidered. Their defense attorneys used arguments adopted by the US Supreme Court; that children’s brains are undeveloped and young people are prone to recklessness and irresponsibility in a way that makes them less culpable than fully mature adults. The Court, however, found that for Erik Jensen and Frank Vigil, the Miller rule was procedural and not retroactive and their sentences would remain unaltered. Jensen and Vigil were serving sentences which were finalized years before, and their requests for resentencing in 2014 were being heard on collateral review. For the other two defendants, Michael Tate and Tenarro Banks, their cases were on direct appeal. Each had been sentenced in 2004 for their roles in different murders under a mandatory life without parole sentencing scheme which did not leave any exceptions for juvenile offenders. Before that sentencing scheme became law in 1990, the sentence for such a crime was life with the possibility of parole (LWPP) after forty years. The Court decided that Tate’s and Banks’ sentences were unconstitutional, and the remedy would be to resentence them using the LWPP after forty years guidelines, not eliminating the possibility that the sentencing court might still determine life without parole as an appropriate sentence. Colorado’s ruling in Jensen and Vigil that juvenile offenders would have to spend at least forty years in prison was directly in contradiction with the holding in Miller. What the Miller Court made clear was that giving a child any mandatory sentence is cruel and unusual punishment. The justices painstakingly laid out all of the reasons why children are different, making it clear that juveniles must not necessarily be punished as harshly as adults. By removing a sentencing court’s ability to consider the mitigating circumstance of being young, the Colorado Supreme Court left in place a sentencing scheme that Miller intended to eliminate. Of the states that took up the issue, Colorado was in the minority in deciding that the Miller rule was procedural and did not apply retroactively. But the inconsistent and conflicting case law on the state level was clearly creating inequities based on unacceptable variables like geographic location. The only hope remaining for hundreds of JLWOP prisoners as well as juvenile advocates was a clarifying case from the US Supreme Court. On January 25, 2016, the Court delivered its relief in Montgomery v. Louisiana. In Montgomery, the Court held that its ruling in Miller was indeed a substantive rule under the Teague analysis and, therefore, the constitutional rule announced in Miller applies to all mandatory JLWOP cases, regardless of the date of sentencing. For everyone who received mandatory JLWOP before June 25, 2012, including those 50 or so in Colorado, Montgomery means they will have an opportunity to leave prison before they die. Each state will now decide whether to provide a new hearing to potentially reduce the sentence for each individual whose sentence is unconstitutional under Miller, or to allow these individuals to now ask for parole. Montgomery is the latest in a series of Supreme Court cases that acknowledge that kids are different and the legal system should treat them differently. 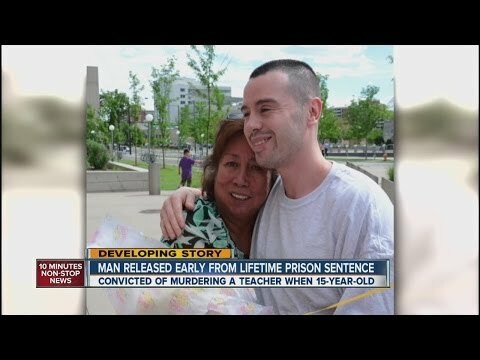 Not only does this ruling provide justice to the people currently serving mandatory life sentences for crimes committed as children, but it adds to the growing body of evidence that the unique circumstances of youth cannot be ignored. While it is still possible for a juvenile to be sentenced to life without parole if her crime is determined to be one of “permanent incorrigibility,” the Montgomery ruling will make life sentences for juveniles very rare or even extinct.